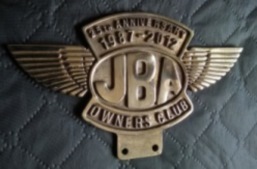 Welcome to the JBA Owners Club Shop. 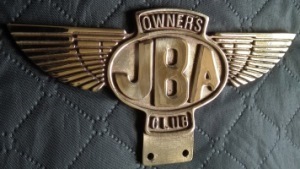 If you would like to place an order, please make your cheques out to 'JBA Owners Club' and post your order to: JBAOC Secretary, 4 Burnham Road, Hughenden Valley, Buckinghamshire. HP14 4NY. Members receive a 20% discount off the advertised price (not post and packaging) Just quote your Membership Number when ordering to receive the discount. If you wish to purchase through Paypal or by card prices will be slightly higher to cover Paypal charges. 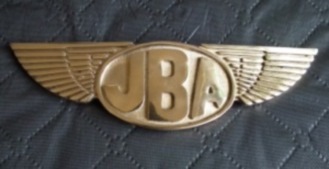 email and send to shop@jbaoc.org.uk. All delivery costs are quoted for UK delivery only. If you are ordering from outside of the UK please email to obtain delivery quote before placing order.